My week has been hectic but yesterday afternoon with a SPARE time on my hand, i picked a lot of flower buds in my garden and made leis. 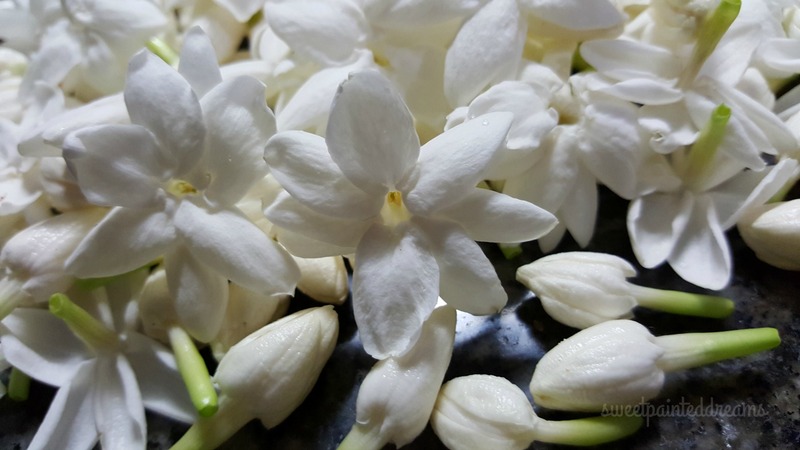 Afternoon is the best time to pick these buds as they open up at night and gives out its sweet delightful scent. 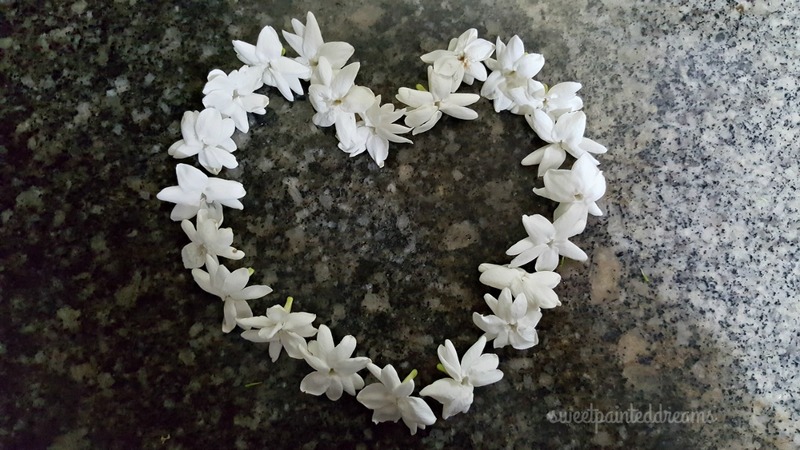 Sampaguita also known as Philippine jasmine is the EPITOME of beauty and elegant fragrance. 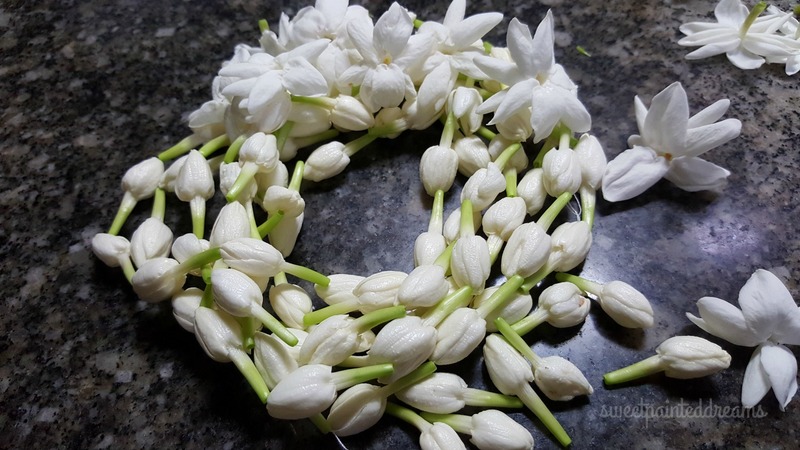 More than a national flower, it is often used as garlands and corsage during graduation ceremonies and in welcoming guests as well as adornments and offerings for the altar and other religious festivities. It’s pure white color (a NEUTRAL color) symbolizes peace and purity. And speaking of pure white… sharing with you a photo of Star as white as snow. thank you 🙂 hugs from Star… and i like your blog. 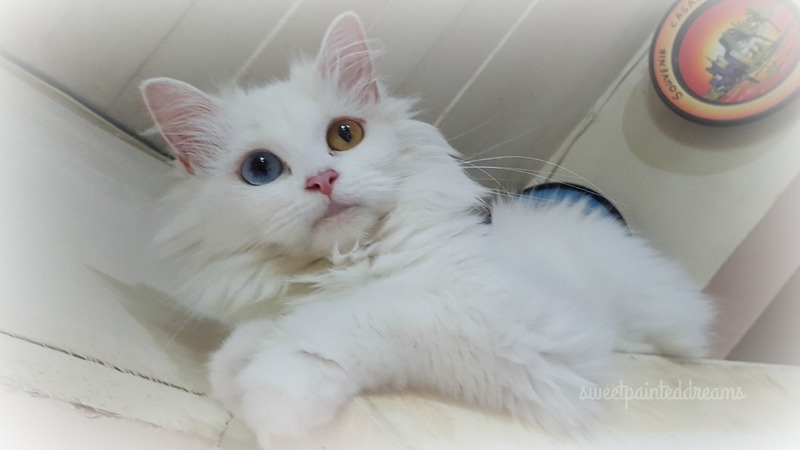 Beautiful flowers and what a beautiful and interesting cat with colorful eyes. Have a great day! Hi! Is it in if I use the sampaguita heart for a postage stamp, please? If not, it’s ok. Very beautiful. Thank you! hi crystal, first of all may i know your profile please.. could you tell me something about yourself, office affiliated, country, blog or website if any, etc. And also where the stamps would be circulated.